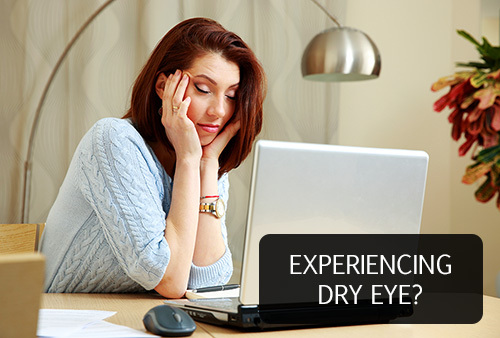 Dry eye is a condition that affects millions of people every day. It is often a normal part of the aging process. Other causes include exposure to environmental conditions, injuries to the eye, or general health problems. For example, people with arthritis and diabetes are more prone to dry eye. Some other specific causes of dry eye include: sun, wind, cold, dry air, indoor heating and air conditioning, computer screens, high altitudes eye surgery. Below is a collection of several videos about Dry Eye problems and treatments. Each topic has multiple videos. Once you review these informative videos, please contact us to set up an appointment for an eye exam. How Are Dry Eyes Detected? Why Is Tear Osmolarity Important? What Is Meibomian Gland Dysfuntion? How Artificial Tears Can Help With Dry Eyes? How Prescription Eyedrops Can Help With Dry Eyes? How Punctal Plugs Can Help With Dry Eyes?